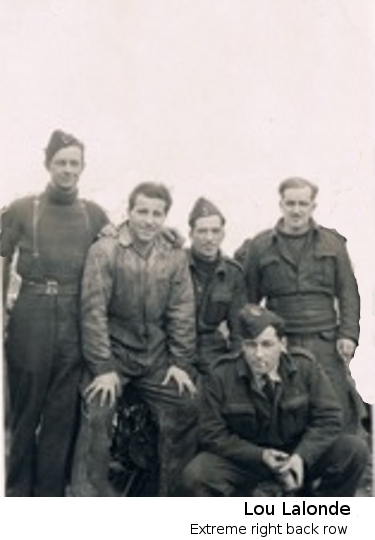 Lou Lalonde enlisted in the RCAF on December 22nd. of 1942. After completing his trade courses he was posted to No. 6 Elementary Flying Training in Prince Albert Saskatchewan. It would be here that he would have hands on training on Tiger Moth's, Cessna Cranes and Fairchild Cornell, all in the joyous muddy fields of this base in Saskatchewan. Lalonde would next be posted to an overseas posting, and after a few weeks at No. 3 Reception in Bournemouth he was posted to 419 squadron and stayed on with the squadron until it was disbanded in September of 1945.